This was one of those outfits I wasn’t sure about all day. I am not one to wear army green or any camo patterns for that matter. But I had seen the trend done so well here and here that I wanted to try it. I bought this shirt at J.Crew while shopping in Georgetown. It was from the men’s section and on sale for $20. With the encouragement of my shopping enabler friend, I made the purchase. While it felt like I was just wearing a baggy shirt all day (also something I am not accustomed to), I actually love how it looks in these photos. 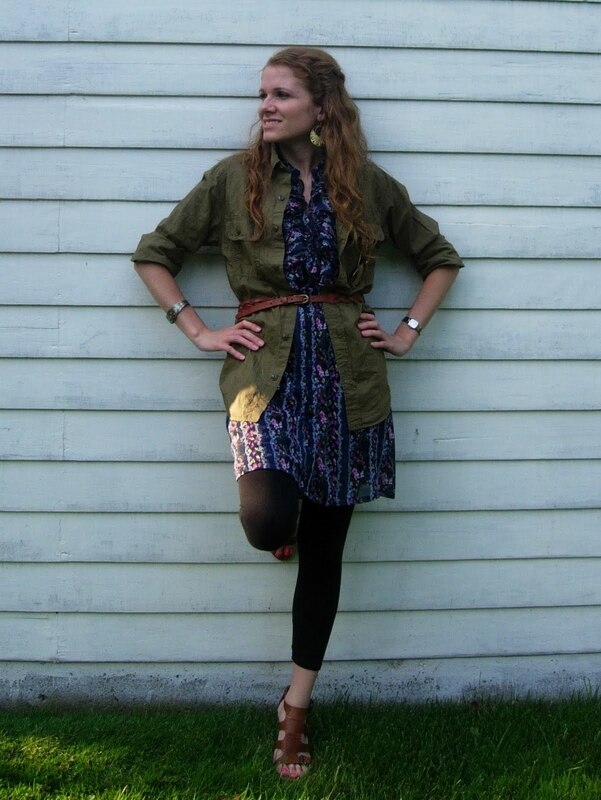 The tough, structured green shirt and the floral print dress create a great contrast. Hi – I'm a new reader to your blog – I love the outfit! I think you pulled it off great! 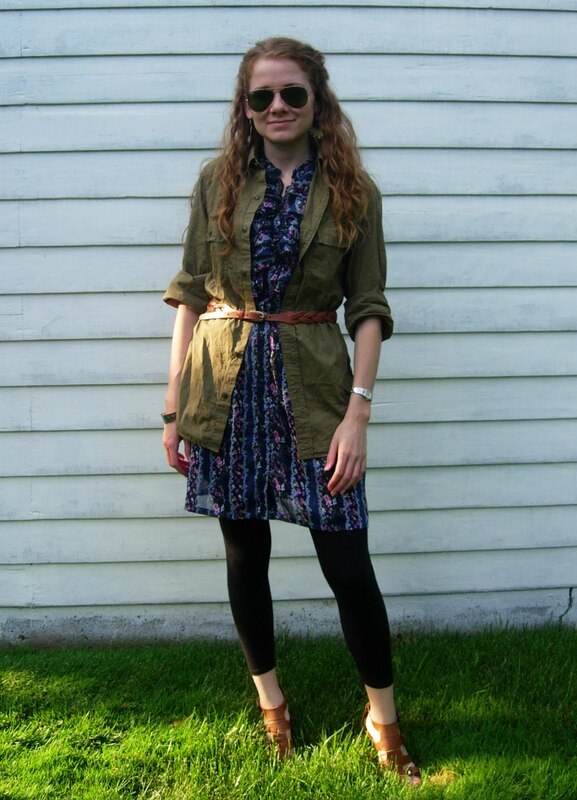 Love the mixing of the utilitarian feel with a floral dress. Ohh, I think it looks so cute. Glad your friend made you pull the J.Crew trigger! Love the whole look.